No one has added a helpful site for this 2002 Sebring problem yet. Be the first! My Sebring for a while had the oil light come on and flicker when stopped. Then one day it came on and stayed on. 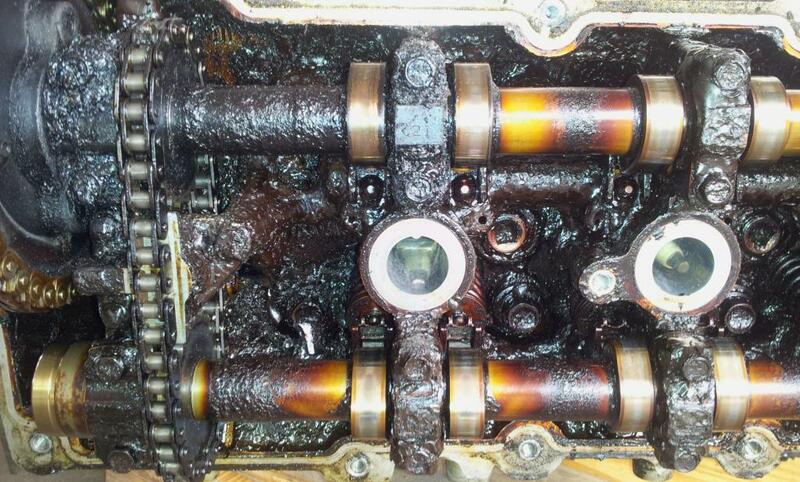 The mechanic said it was likely the oil pump and the car stopped running while at the mechanic. Apparently the oil pump has a really tiny oil that gets clogged and then kills your engine because it seizes. I am never buying a Chrysler again. Thank you Chrysler for ripping me off twice. I had my engine completely rebuilt just over a year ago and I am once again in the same boat. Your 2.7L engine is a piece of crap. I know because I have personally worked on it. Your accusation that it is a lack of maintenance is completely unrealistic. My car was perfectly maintained and is still my most expensive lawn ornament to date. I am disgusted and will never buy from you again. Bought a new Sebring LXI convertible and maintained strict maintenance. 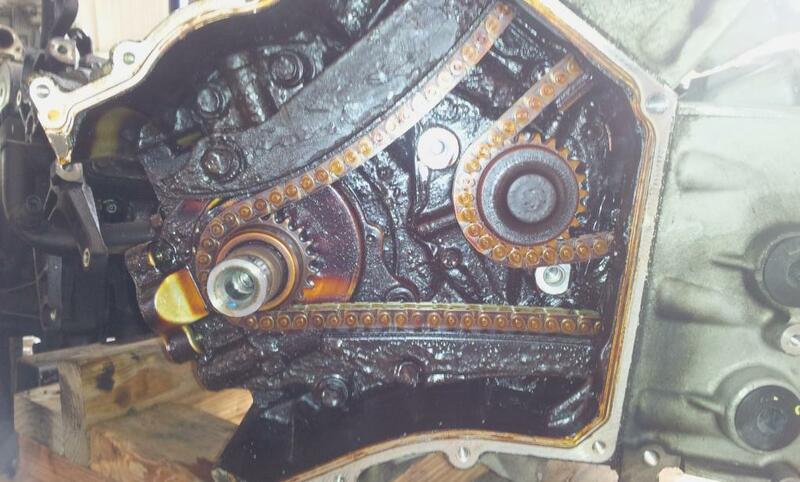 After owning vehicle for 6 years and driving 106,000 miles, the water pump broke and contaminated the oil. Paid over $3000 to have water pump replaced and also replaced motor mounts, timing chain and some other parts. Was hoping to drive this car another 100,000 miles. After one month of spending $3000 the a/c pump froze up. A/C repairs cost $600. 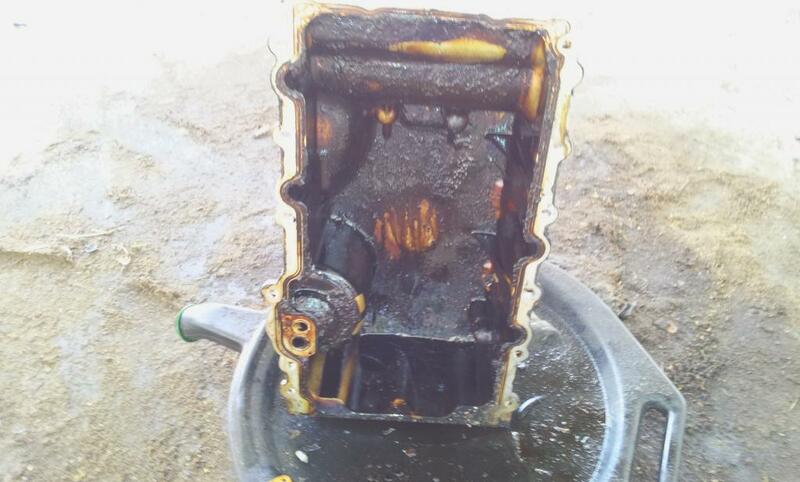 A month later oil warning light started flashing. Took car to a Chrysler Dealership and they tested the oil pump pressure and said everything tested out fine. Drove car home and engine suffered an internal break a block away from home. 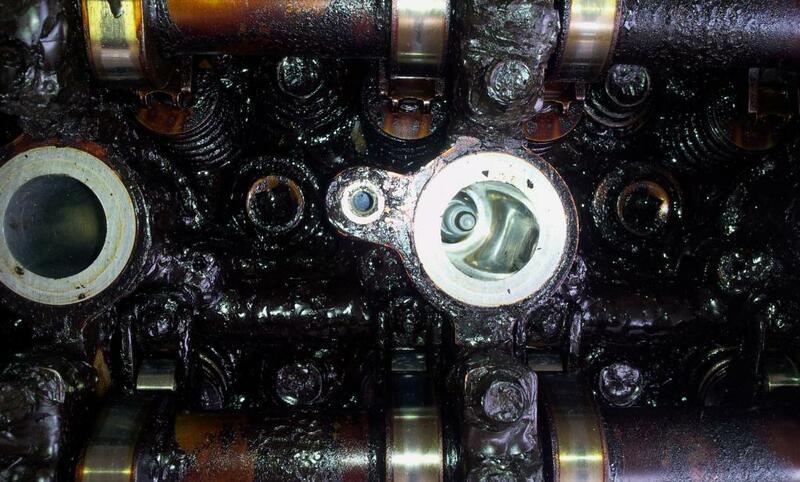 Assumed something major failed like a broken piston or cam shaft. Decided not to spend another dime on this POS and dumped the car for $800 and afterwards decided to never again to buy Chrysler. The 2.7L V6 double overhead cam engine has a design issue and is an engine to steer well clear of. changed oil frequently . Car gave no warning about failure, and just shut down. Mechanic says must have engine replaced. Dumped the car!! Now the engine has died again. Done! Sludge part II. We decided to dump the car at this point. We are just throwing good money after bad. Hope this sludge problem results in a lawsuit. Chrysler should pay. We are the original owners of this car. Took it in for service all the time. Oil changes, air filters, tune ups you name it. We were very good about servicing this car. Out of the blue it blows up. The car was out of town so now we have to go to the local dealership and get it 'fixed'. How can we have sludge build up when we have had this car serviced? This was not due to lack of attention on our part. This is a manufacturer defect. 110,633 miles. Dumped the car!! Now the engine has died again. Done! Sludge part II. We decided to dump the car at this point. We are just throwing good money after bad. Hope this sludge problem results in a lawsuit. Chrysler should pay. Need to get Chrysler to acknowledge and pay for known problem. Want my car fixed and cannot afford new car. Need attorney to file class action suit! I purchased this car used on 4/18/2013. It was running great until 3 weeks later when the engine seized while pulling into a driveway. I had full knowledge of the engine and oil sludge issues after doing research online but I fell in love with the car. Against all my friend's and family's advice to not buy the car, I bought it anyway because it was running great and thought it was worth the risk. I was completely wrong, of course. Since I want to keep the car, I decided to have the engine replaced with a remanufactured engine of the same kind instead of a used engine with 58k miles which would most likely have the same oil sludge problems. While they were replacing the engine, they also came across qyite a few other problems and things that needed to be replaced including 3 motor mounts, a faulty and leaking transmission module, upper and lower ball joints and controller arms, front struts, faulty window motors, intermittent wiring shorts mainly in the dash, the airbag light is on, and there's a leak somewhere in the top that's allowing water to get into the trunk. I only had them replace the engine, motor mounts, transmission module and lower ball joints and controller arms. The other repairs will have to wait for a while as I've now spent $11,600 (purchase price of $5400 + repair costs). So it definitely has been a frustrating and costly car purchase and I can say with absolute certainty that I will never purchase another Chrysler product. I couldn't believe how horrible the oil sludge issue was inside the engine once they opened it up (see included pictures). The car was owned by only 1 other person before me and since I don't have any way of knowing how often they did their oil changes, it's hard to blame it all on the design flaws of this engine. Based on how many people have reported this same issue though, I would have to believe that it's most likely the fault of a poorly designed engine by Chrysler. Since having the new engine installed, everything seems to be working great, but only time will tell. 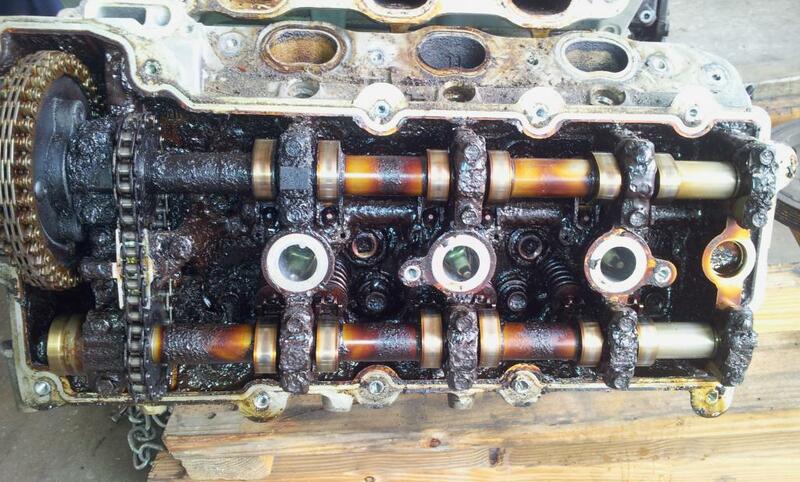 To try to prevent this issue from recurring, I have decided to use only synthetic oil. From what I've read and heard, synthetic works much better and should not cause the same oil sludge problems. Based on other information online, Chrysler hasn't accepted responsibility for this faulty engine, but if they are reading this review, I would love to be compensated for all the costs involved in replacing it. I understand that on a car that's 11 years old, most of the other repairs it needs are from normal wear and tear and age, but the engine shouldn't have failed after only 109k miles. Buyer beware: If you're interested in buying a used Chrysler Sebring from this era, make sure you have at least $5000-$7000 extra for all the repairs it will need. 6 months, the engine completely shuts down! My warranty did cover the new engine; it took 2 months to fix at the Chrysler dealer in Torrance CA. I picked my car up so happy right? Wrong!! 6 months later the engine BREAKS AGAIN!! Well to my surprise guess who refused to repair my car? Chrysler and my warranty... the year had been exhausted! Oh yes I was trapped..., I had no idea what to do! A friend referred my to the bureau of automotive repair, according to these people regardless if my warranty had expired... the engine that Chrysler placed in my car should not have collapsed within 6 months’ time! The bureau of automotive repair assigned me an agent who stood by my side through this whole process. These people are freaking life savers!! They MADE the Chrysler automotive repair fix my car and replace my engine for free!!! Unfortunately, 2 years later the engine died again! This time I paid 3,000 out of my own pockets to replace the engine!... I have told you this story ladies and gentlemen to inform you the engine in my car has been replaced 3 times! And it is still acting up!!! To add the cherry on top.... I still owe $4000 ON MY DAMN CAR TO Los Angeles Federal Credit Union!! These 5 years with this car has been the worse experience of my life!! I will never even give Chrysler a second glance, no matter the model of the car!! Please stay away from this model!! Chrysler knows damn well these engines are screwed!! They need to recall this engine! I have put a total of $8000 into this car!! I swear I want to throw it into a river and collect the insurance on it!!! UGH!!!!!! In April 2011, we purchased a 2002 Chrysler Sebring Convertible Limited Edition (with 2.7 engine) from a privite owner. In January 2013 it was towed to Napleton Chrysler dealership in Kissimmee. They still have our vehicle. We had purchased an extended warranty from Gold Key for $2695.00 which is still in effect, but they will not cover the engine due to the sludge build up. This car was only used for leisure and we put less than 3,000 miles since we have owned it. Also, we had the oil changed using synthetic. My husband is on disability and we can not afford to pay for an engine replacement. Unfortunately, I think we will have to junk the car. I purchased this vehicle 6/5/2012 from Jake Sweeney Smart Mart in Cincinnati OH. I had all sorts of problems with this vehicle. For instance I had to replace the left front control arm, the right rear brake line, the airbag clock spring and now the whole dam engine. The engine cost $3000 plus I still owed $4000 for the car. I am so disappointed with Jake Sweeney. I already reported them to the BBB. My car died on the freeway, just shut down, called AAA and got towed to the mechanic who works on my car all the time. I take really good care of this car, oil changes regularly and new tires. Mechanic said need new engine. Car is worth $4500 - new engine $4500! Can't afford new car, can't afford to fix! I am screwed! We bought the car after signing the paper the owner tells us they replaced head gaskets and put new water pump in...... well least to say it made a awful noise days later so we brang the car back, he told us he would fix. well days after that it started to stall at stop lights and would take forever to start. so again we brought it back. told us it was sensor, charged us 50/50. days later stalled would not start.. said it was hydrolic tensioner.. charged us again. week or so later driving fine and it made a loud knocking sound and just died.. stranded in the U.P.. at night towed it back.. said they would fix... we said ok but it would cost us 500.. well fixed it, wanted to charge us and still didn't run. come to find out i had the motor tore down. guess what no new tensioner, no new head gaskets, original spark plugs, we got screwed. no lemon law in Michigan. but you can't tell us he did work and charge us its called falsifying information..... civil suit or not? as for Chrysler were is the recall....????? oh and we asked for the old parts he said GO DUMPSTER DIVING!!!!!!! On my way back to work from a Dental Appointment, just had 4 fillings drilled, and my car starts to make this awful knocking sound. I notice it as it grows strong and stronger. Not a single warning light is coming on at all. I am forced to stop at a stoplight when the engine cuts off. Luckily I was close to home and am able to walk there. My boss picks me up so that I can return to work. Not sure how I am going to pay for the new parts but I am hoping to get this fixed soon. oil light came on and stayed on. 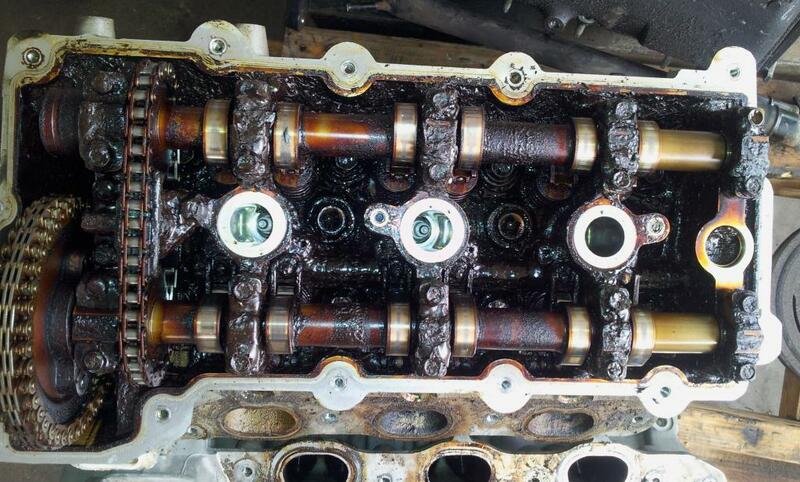 Mechanic said need to replace oil pump, water pump, tensioner, and timing chain. I hope it works. Should have stuck to Honda. I don't know if I can ever look at another Chrysler product ever again! This car has put me and my mother through hell! We have spent so much money on this car that the mortgage has been late 3 times already! And now it just dies... While we were driving it made this awful noise and we had to pull over. When we tried to start it up again it wouldn't even turn over! This car only had 86,000 miles on it! And this is not the only problem we had with this car, we had AC problems, countless brake problems, we had the computer replaced.... I could go on and on. We have spent so much money on this car that we are in debt and can't afford to buy another one! Thanks a lot Chrysler for engineering a crappy product and not owning up to it! Where do I start? I purchased my 02 Chrysler Sebring Convertible in 2005 (it had 25k miles). Two days ago, it went out completely. I stopped at a stop light. It cut off and never started again. My mechanic diagnosed it as engine failure. Since I"ve had this car, it has been nothing but problems. I will never buy another Chrysler again. Ever! There was loud ticking noises, I would always have to put oil and antifreeze in it (every single week). Smoking from under the hood..it would always run hot, but the gauge would not warn me..I would realize it after I see smoke or smell burning oil.the list goes on and on. Please never buy Chrysler if you want your money's worth. The exterior and interior was nice looking, but under the hood was a piece of JUNK! Now I'm stuck without a car. i was driving heard something blow / backfire /smoke out tail pipe......looked under hood and a quarter of each valve cover was blown off !!! could be ...jumped timing / heads need reworking /bent valve and at worst need a engine !!! all chrysler Sebrings 2002 models are obviously defected there should be an engine recall on them !! chrysler should do that out of respect knowing there's an problem with theses cars i hadn't even put the car title in my name hadn't had it two weeks not sure if its worth fixing or crushing ??? ?